Envelope 24lb White Wove #6.25" x 3.5"
#6 1/2 Envelope, 24lb White Wove, 6.25" x 3.5"
Looking for a square envelope for your mailing? Consider this #6 1/2 Envelope! Measuring 6.25" x 3.5", this 24lb white wove piece is suitable for enclosing any kind of business or personal mail. This envelope’s size is excellent for stashing all sorts of correspondence, and its square, remittance style back flap gives it a tidy finish. 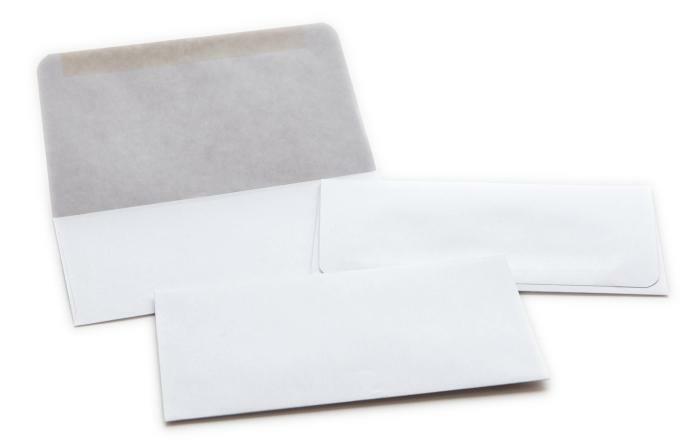 Find the right envelopes for your next mailing on TicketPrinting.com.